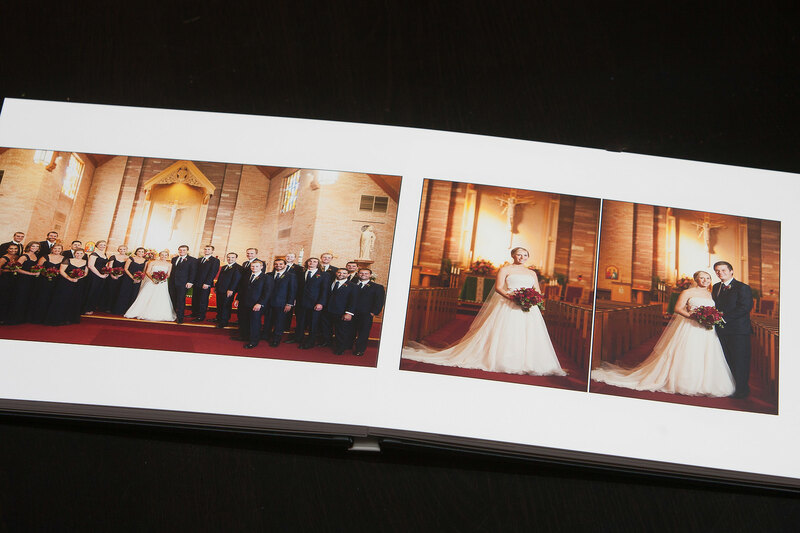 Caroline and Ben’s layflat wedding album arrived and it’s beautiful. The book has 20 pages, comes with a signature leather cover and a protective box. More than 50 images are presented in this book. Caroline and Ben married in September at St. Paul Catholic Church and The Broadmoor. 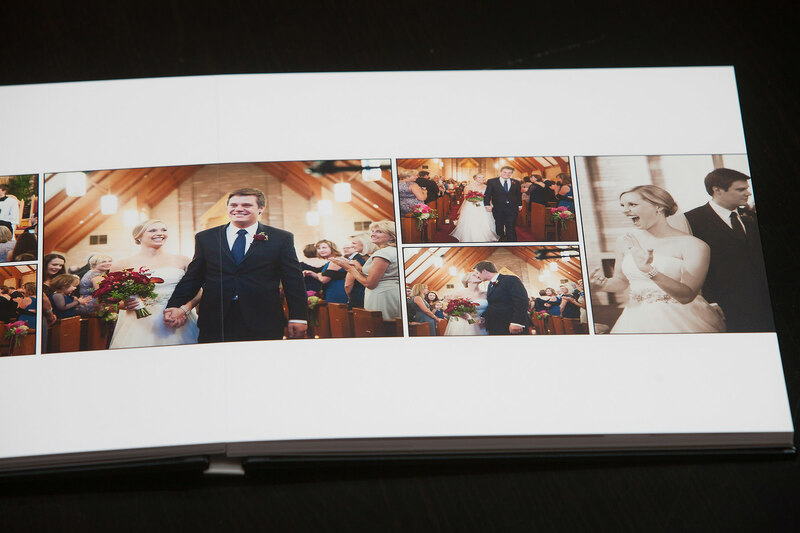 Their layflat wedding album is one our favorites. 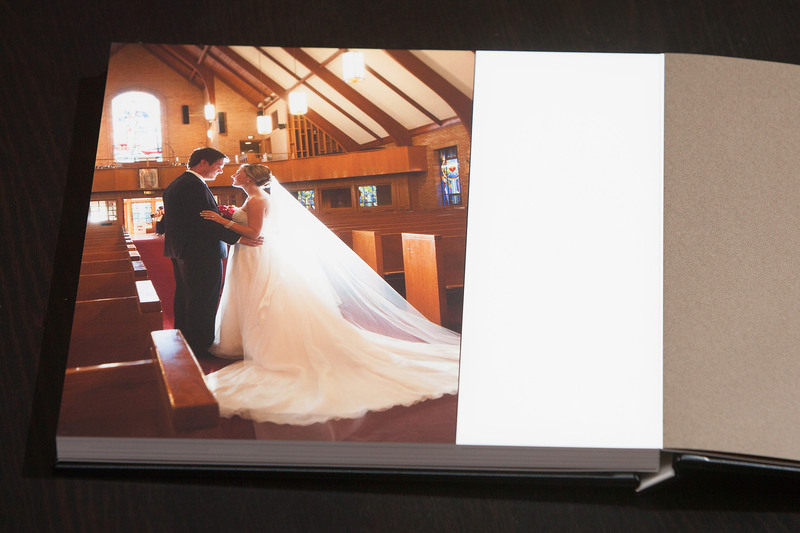 Layflat Album Features: The lay flat wedding album is archival. 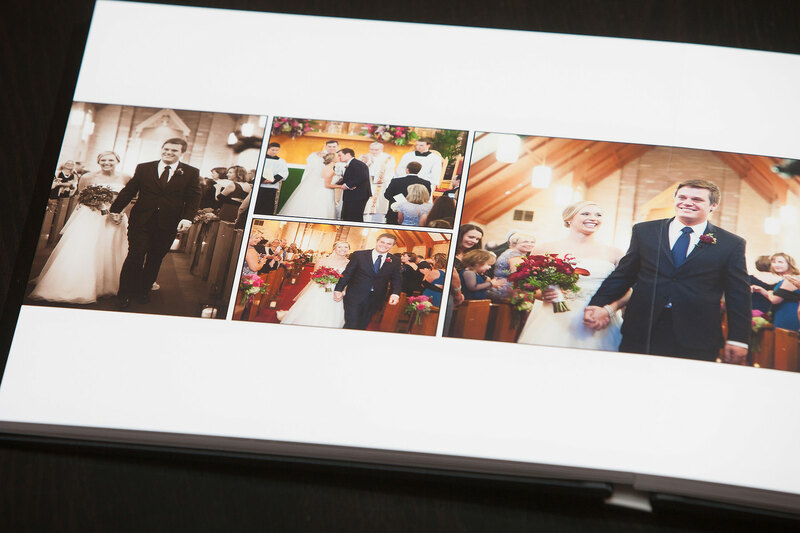 Display it open or closed on a coffee table or shelf in your home without worry of fading.The lay flat book features thick, durable pages and feels substantial when you’re flipping through it. 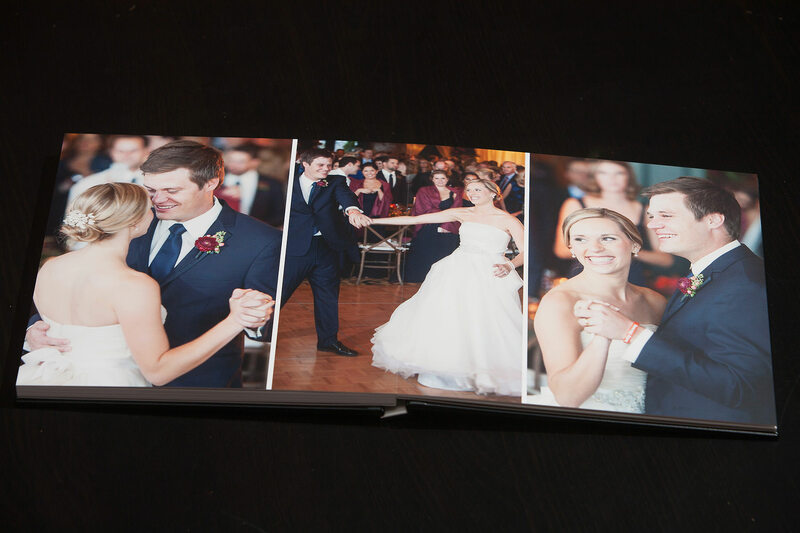 Layflat Album Design: This book designed in-house and proofed out to our couples before it’s printed. There is freedom in the design and more images for display when designing two pages as one spread. An eye towards a narrative and strong moments makes this album sing. 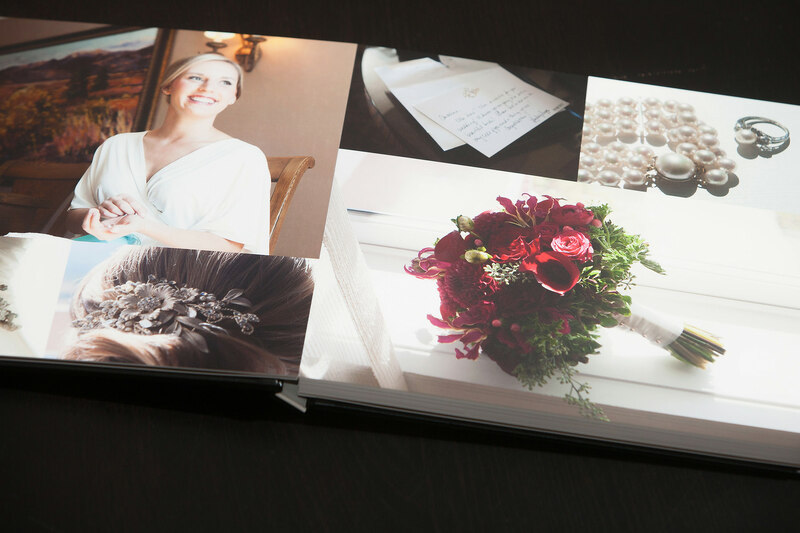 Layflat Album Story: Typically, we start with details and bridal preparation, followed by family groupings, wedding party and bride and groom portraits. 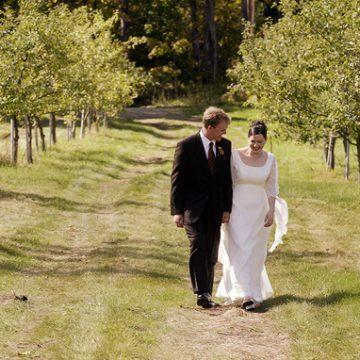 Each section is divided in a pleasing way with quiet moments from the ceremony and reception in-between portrait pages. 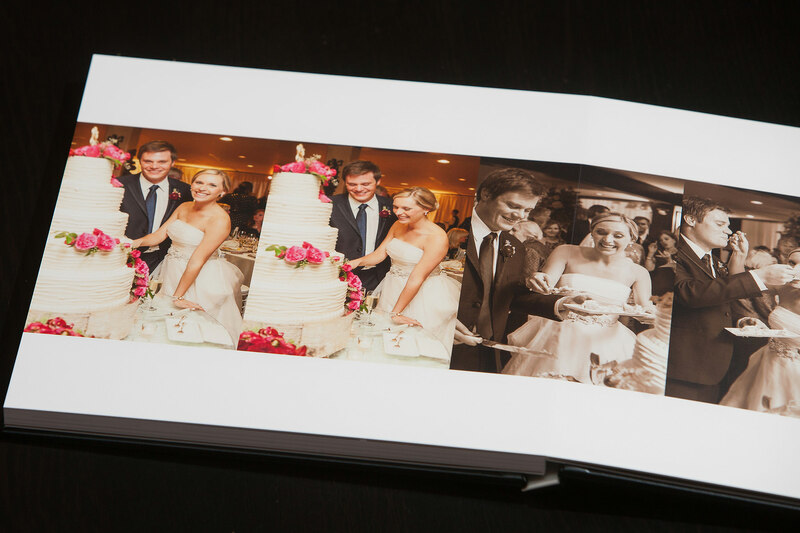 Caroline and Ben’s layflat wedding album is the perfect keepsake and will be a wonderful addition to their home. 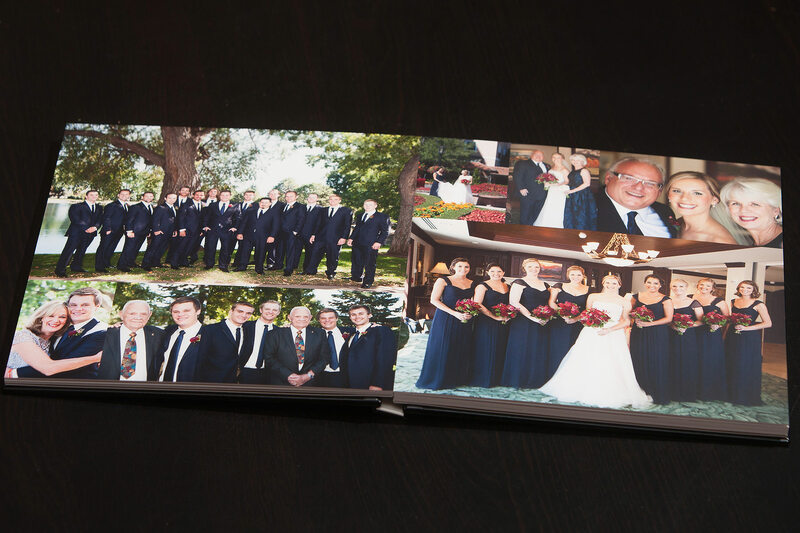 We’re delighted with Caroline and Ben’s layflat wedding album and reminded just how important it is to create a presentation piece for your wedding images that will last for generations.